Clean Show is the main event for the laundering, dry cleaning and textile services industry in USA and presents the latest in equipment, products, supplies and services for the textile care industry. 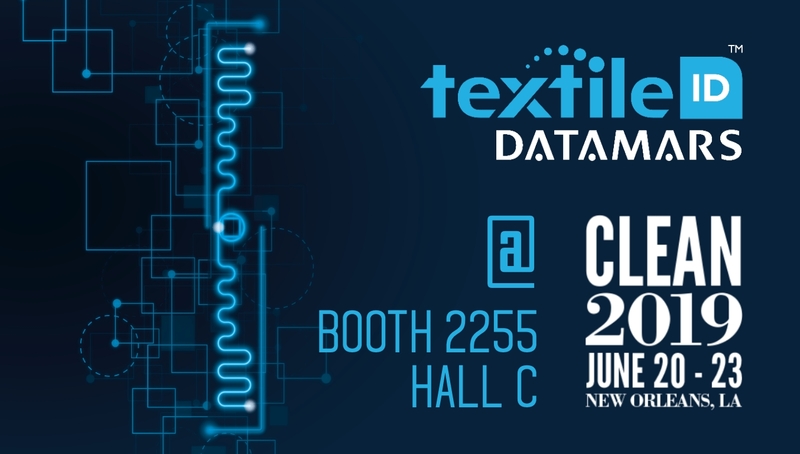 At its booth (2255, Hall C), Datamars Textile ID will show its RFID solutions for the industrial laundry process, allowing visitors to experience first-hand the convenience and accuracy of RFID-enabled laundry processes. ranging from different applications (workwear & privatewear, flat linen, mats & mops) and business sectors (industrial laundries, manufacturing companies, hotels, hospitals and nursing homes). Datamars team will be at your disposal to understand your needs and explain the huge benefits and returns that RFID technology can bring to your business. The Clean Show will take place on 4 days from Thursday, 20. June to Sunday, 23. June 2019 in New Orleans. For more info please visit https://www.cleanshow.com/.